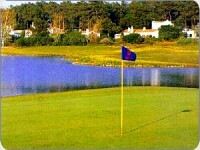 Located in Vilamoura this golf course is a very comfortable course for the average player providing 18 holes that take the player over virtually level ground and with the involvement of a lake and some water hazards. As there are very few trees and shrubs the main problem for the player can be the occasional strong wind that can play the ball off course. 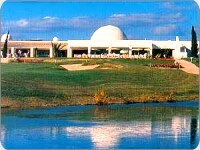 It is a course that can be likened to some degree to the challenges that are provided by a Links course. 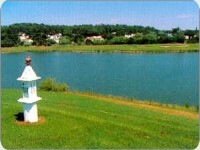 However, there are a many water hazards with strategically placed bunkers in open terrain. These factors combined with the occasional strong wind make for an interesting round. I found the course to be very delightful, challenging in places, lots of water which made it fun and painful at times, the course is very lovely and a joy to play.